Denise: I received long stem roses while I was hospitalized. The blooms are done, but the stems have sprouted shoots. There are no visible roots in the vase. Can these be salvaged? What do I need to do if so? 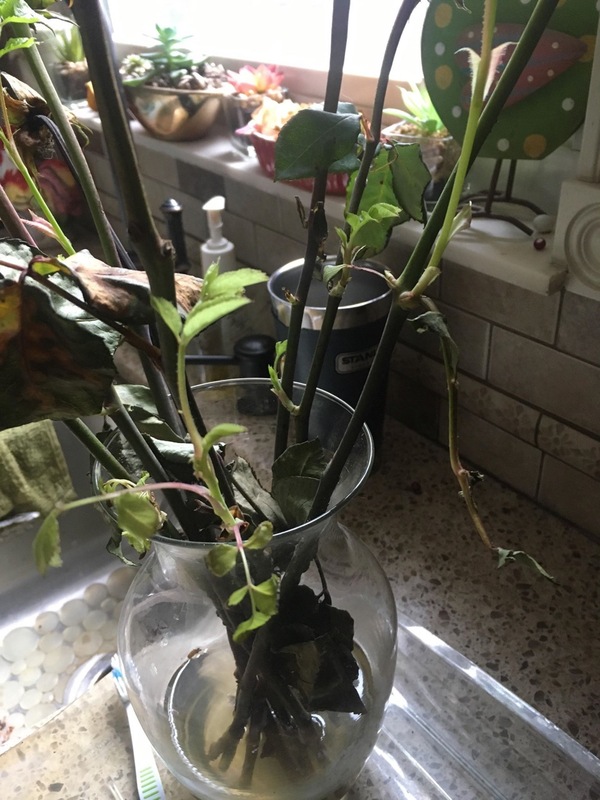 Doug: I would take any stem with new growth and place the base in a pot with a planting mix after treating the root area with Rootone. Cover the whole thing with clear plastic, keep it in a cool bright place, cross your fingers and see if you get roots. It could happen. Don: I was infested with Japaneese beetles and brown spots all in the grass. I started applying St. Gabriel’s Milky Spores. Will that work or is there something better to do? They were also in my small flowering dogwood tree and small flattop pine. Any suggestions? Doug: Yes, Milky Spore is a great organic control for Japanese beetles. It takes a couple of years to really get going, but will get stronger over the next two decades. I would recommend using Captain Jack’s Dead Bug Brew as an organic control for the beetles themselves. It’s safe for you and won’t kill the good bugs. Doug: Don’t use garlic from the grocery store. It might not be hardy and sometimes will be treated with something that stops the bulbs from sprouting. Elephant garlic is not really garlic; it’s a leek, but if you want big mild heads, it will work. For the real thing, go to a good nursery and buy a few bulbs of seed garlic. Break them up into cloves, plant them three inches deep and six inches apart in good soil. Then mulch them with a thick layer of straw. They will sprout in the spring. Anita: I have a braided trunk hibiscus tree. It is potted and I have successfully wintered through four winters. I need to trim and shape it. How should I do it and what’s the best time? It really does take up room in a small area near a window in our basement during the winter months. Doug: You can do it now, don’t take off more than a third. They are tough and will be fine for next year’s garden after a winter inside.